Christie Heights homes for sale are located in the master-planned community, developed in the ’80s when nothing existed on Shock Hill except the Nordic Center. As the first subdivision on the hill, this community is spread out over one of the best spots on the hill. Shock Hill is a prominent bench-like rise close to town on the road to the Breckenridge Ski Resort. Since Christie Heights was built, a few exclusive neighborhoods have also claimed Shock Hill as home, and brought with them a gondola stop and the preservation of Cucumber Gulch as a wildlife reserve. Are you ready to find your dream home in Summit County? Discover the Christie Heights real estate listings found below, or find out more about living in this well-established subdivision. Christie Heights homes are on large, flat lots, and are bathed with plenty of sun. Early sun comes over Baldy and hits Christie Heights soon after illuminating the ski area, just one-half mile up Ski Hill Road. And in the evening, the set sets over the ski runs and the crest of the Tenmile range in full view of these homes. Clean lines and lots of windows are one’s first impression of the neighborhood due to a few modern dwelling located near the entrance, but all the homes in this small subdivision were custom built. Many feature desirable upgrades such as cozy fireplaces and modern kitchens. The neighborhood’s dedicated open space is on the perimeter, and includes easements for cross-country ski trails that connect to the Breckenridge Nordic Center. Christie Heights’ closest neighbor is still the small Nordic Center lodge, but is now also near the newly developed Shock Hill neighborhood. With the new neighborhood came the gondola stop, which is walking or skiing distance from most Christie Heights homes. Now, there are more neighbors, but they have built on large lots, kept as many trees as possible and don’t share the older neighborhood’s roads or entrance from Ski Hill Road. Size (sq. ft. liv. area) : 2300 sq. ft. to 6016 sq. ft. 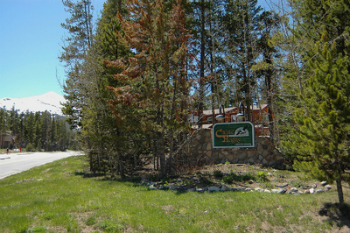 Amenities: Bus Route, In Town, Nordic Ski In/Out, close to ski lifts and Main St. shopping, adjacent to national forest, hiking/pedestrian trails. One mile west on Ski Hill Road, turn right onto Windwood Circle and most of the Christie Heights neighborhood. Nine parcels are on the left on Christie Lane, a pullout of Ski Hill Road. An expert from Breckenridge Associates would love to show you around Christie Heights real estate. Contact us online or phone us at (970) 453-2200 to discuss your options.